Once a week (or whenever I feel like it) I'll be posting an "I'd Like to Try This" idea or link. If you'd like to be featured on "I'd Like to Try This", just email me with a link to your idea. I think my boys would love doing this. Although, it would probably involve adding bugs or little creatures at some point. April! This blog is a fantastic idea! I'll visit here often! We did these eggs with some friends on Christmas Eve, and we ALL had so much fun! April! I am so excited about your blog. 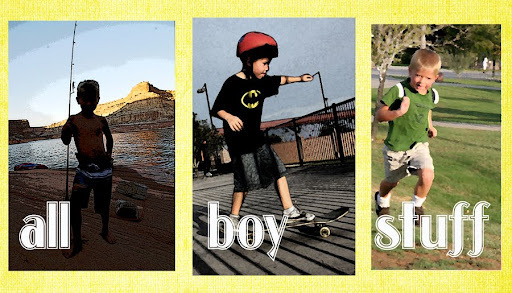 Seriously, there IS so much girl stuff out there, so I am so excited about a BOY blog! I just love boys, and feel like I really could just have all boys and be totally happy. I'll be visiting often. Loves!